Whether you travel a lot or find it difficult to get up early in the morning to feed your cats, you’re not alone. Luckily, getting the best automatic cat feeder for your pet can help. It’s a device that dispenses food automatically so that your cat always has plenty of food, even when you’re not home. 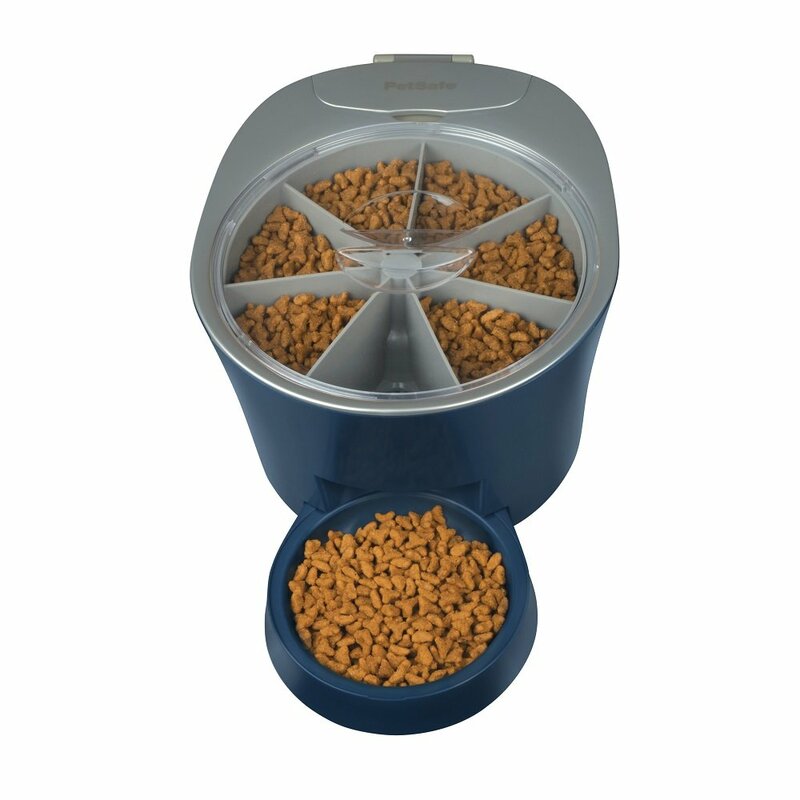 PetSafe Healthy Pet Simply Feed Automatic Feeder is the best automatic cat feeder for those who want to feed their pet multiple times a day on slow feed mode. 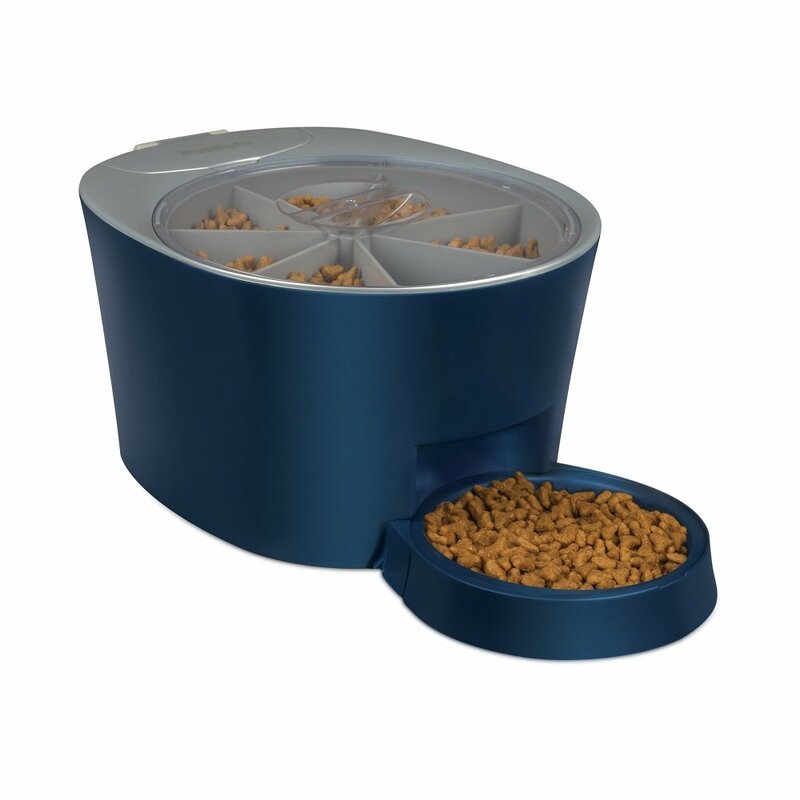 This convenient feeder can control portions automatically so that your pet is never overfed. You can schedule meal timing with an option for up to 12 meals a day. It makes it easy to manage your pet's diet without having to quit your job. It’s easily the best automatic cat feeder as long as you can afford an expensive feeder and you are eager to spend a few minutes learning its programming operations. 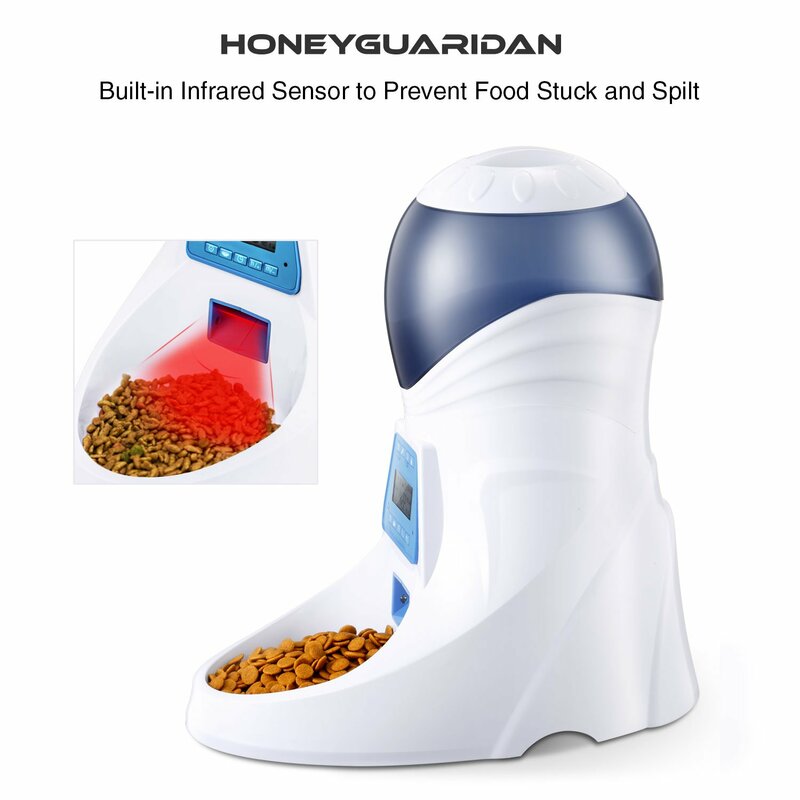 The best automatic cat feeder by HoneyGuardian is A25 Automatic Pet Feeder that comes with a voice recording function and a programmable timer. 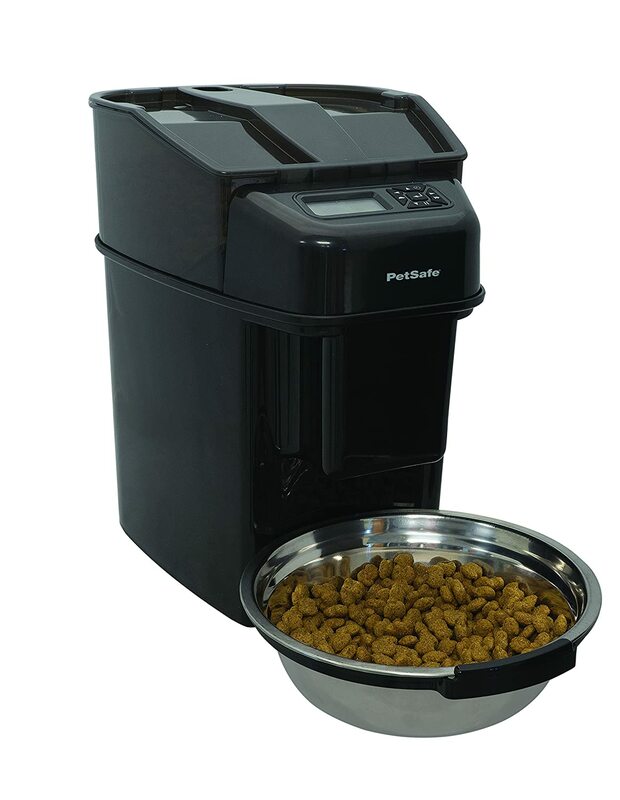 Its automatic food dispenser makes it easy for your pets to eat only what they should be eating – NO overeating and no excessive weight gain. 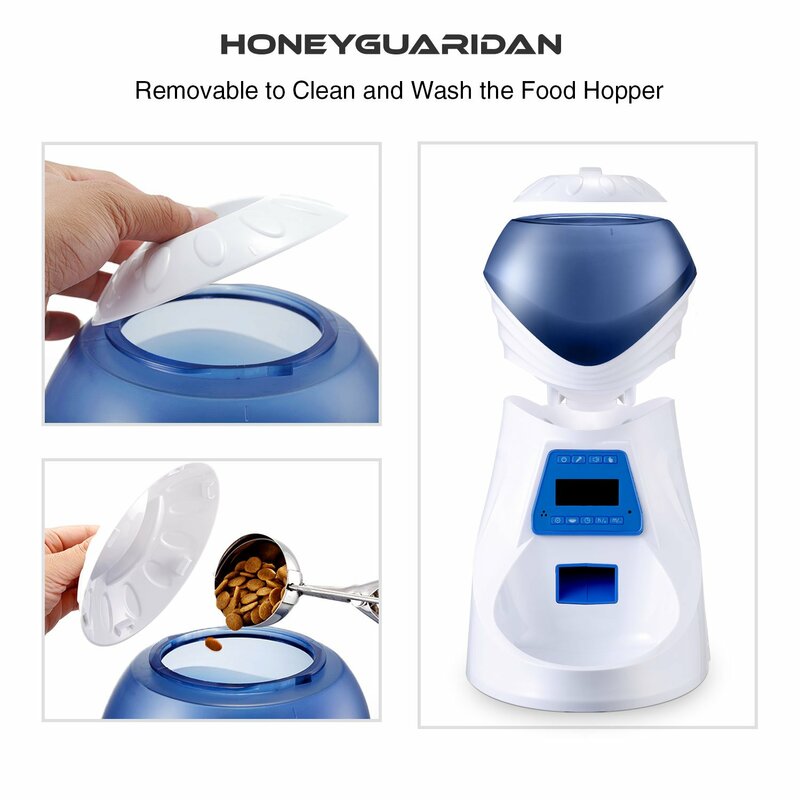 HoneyGuardian cat feeder allows you to vary portions sized so that you can adjust diet according to your pet’s size and activity. 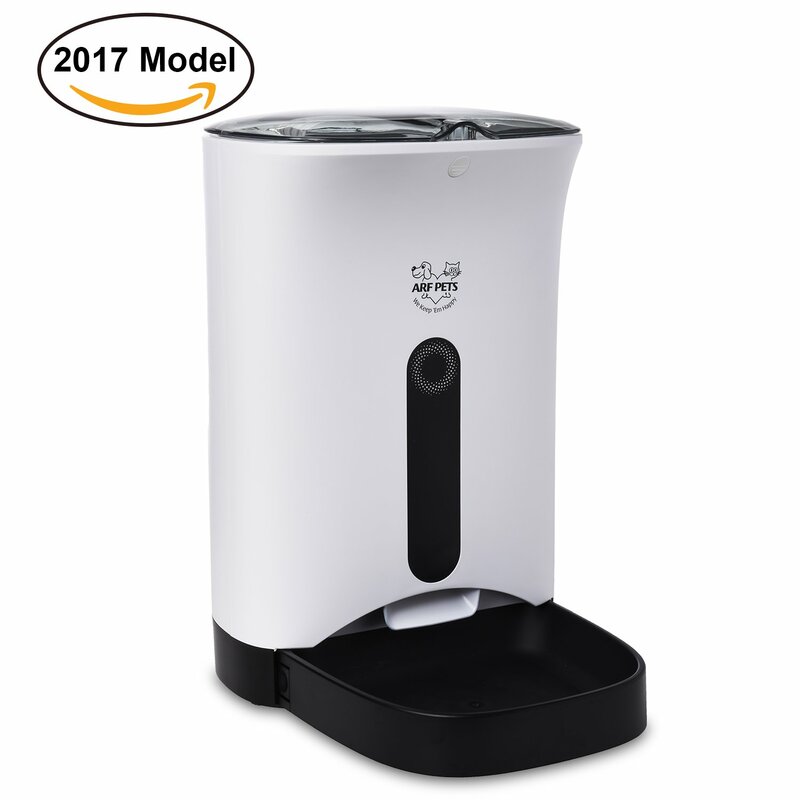 You can set up easily schedule 1/32 to 4 cups per meal with up to 6 meals per day with this affordable automatic cat feeder. This device comes with a built-in voice recorder that can help you to call your pets for a meal. Just record your sound and it will play whenever its mealtime. Your pets will never feel left alone at meal times even when you are not home. This cat feeder by HoneyGuardian is perfect for those who want voice recording and playback in a stylish computerized gumball for their cats. ArfPets Automatic Pet Feeder Food Dispenser is perfect for cats and dogs. When you buy this feeder, you get full value for your money with features such as distribution alarm, portion control, voice recording, and programmable meals. You can schedule up to four meals a day for your cats. 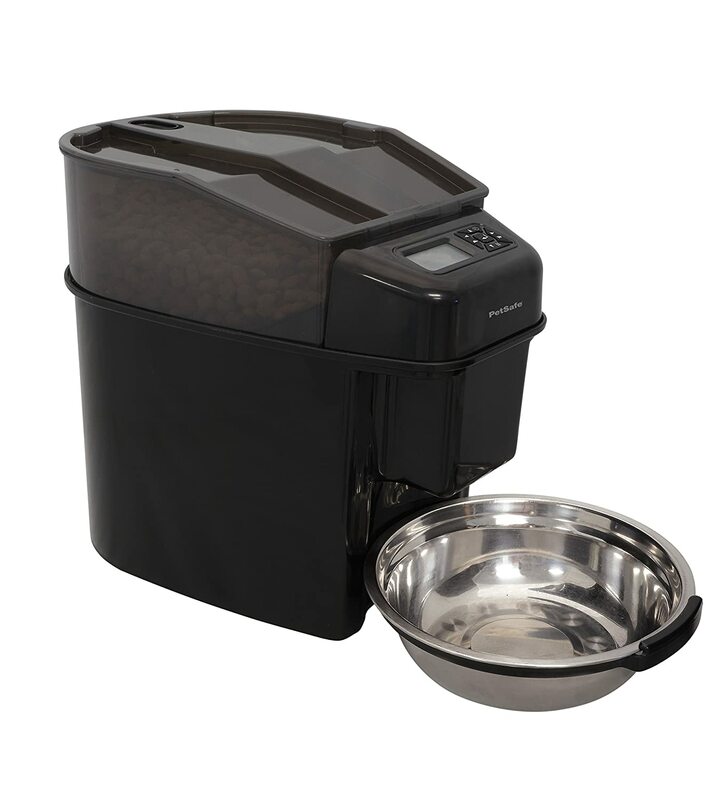 The feeder allows you to control portions so that you can manage pet weight with ease. The voice recording feature is perfect for anyone who has trained pets to a meal call. If hearing your own voice in the morning coming from a computerized gadget calling your cats to enjoy their treats doesn’t scare you, this feeder by ArfPets could be perfect for you. 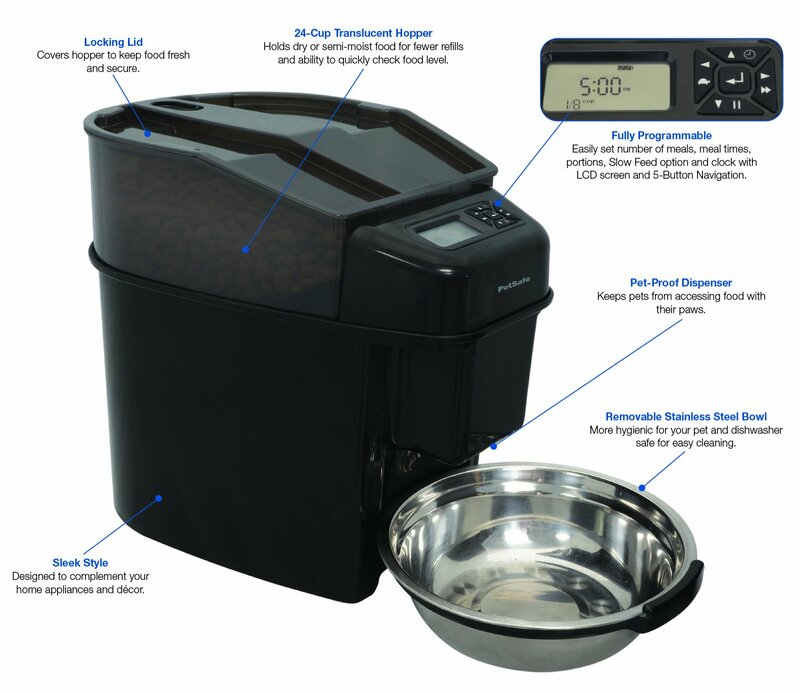 This automatic cat feeder from PetSafe allows you to program six meals for your cat. It has LCD display that makes it easy to adjust the schedule at any time, whether it’s day or night. The unit is battery powered so you won’t have to place it near a power socket. 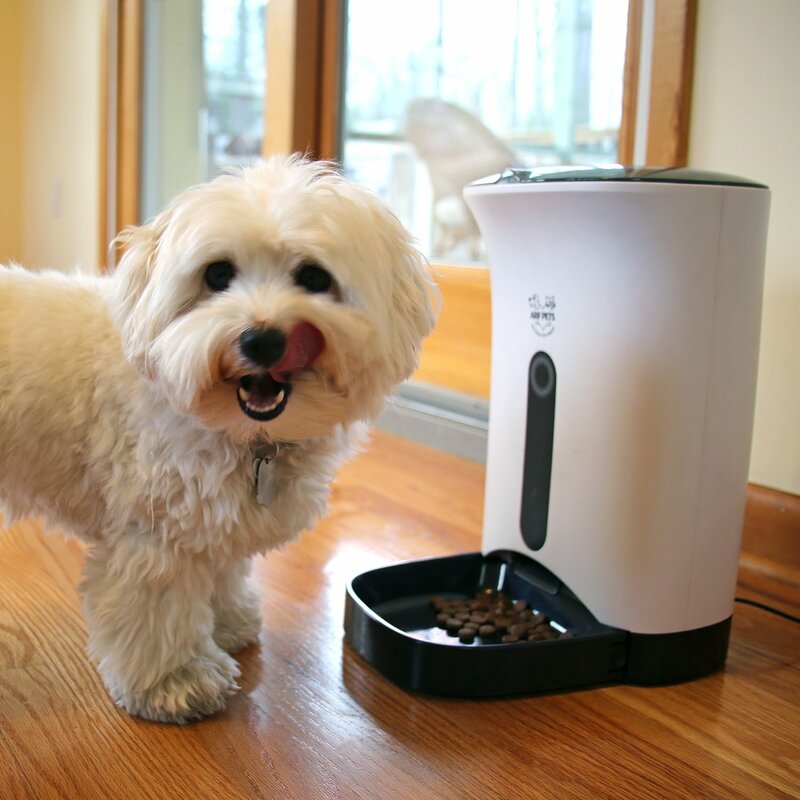 It dispenses food without any noise and the unit is pet proof. You have six trays in this pet feeder. Each tray can hold up to 1 cup of food. You can use dry food or semi-moist food without finding it stuck in the exit door. Additionally, this unit is easy to clean because of removable tray and bow. Its dishwasher safe, which makes it very convenient to keep the feeder clean. PetSafe has manufactured a great product. If it had multiple power options and the timer was more reliable, it could have easily been our best automatic cat feeder. Our Choice – What’s our favorite cat feeder? Sure we love automatic cat feeders but there are plenty of options out there to call a single product our favorite. It really depends on your circumstances. 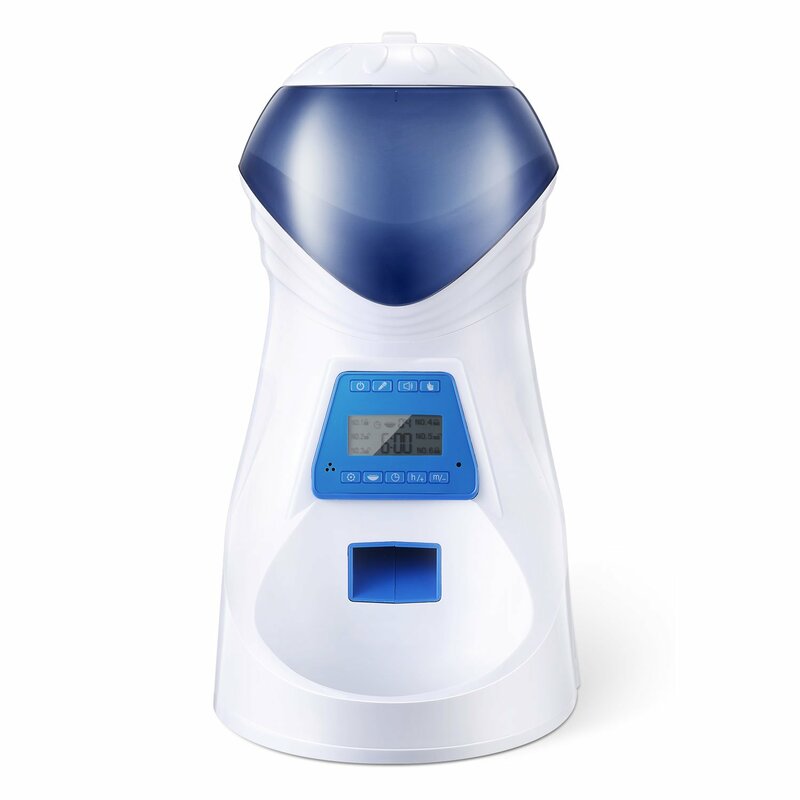 For example, if you need to schedule 10-12 meals, PetSafe feeder is the best automatic cat feeder for you. On the other hand, you could easily opt for HoneyGuardian feeder when your pets only need up to 6 meals a day. Overall, PetSafe provides the best features while HoneyGuardian ArtPet give the best value for money. What to Consider to Choose The Best Automatic Cat Feeder For Your Pet? When you buy a pet feeder, it’s going to become your pet’s best friend. You want to make sure that it meets the needs of the animals in your home. Here are some considerations that would help you make the right decision when getting the best automatic cat feeder. Strength and size of your pet is an important consideration when getting an automatic cat feeder. If you have a big and strong animal, be sure to buy a strong feeder that your pet can hold and feed without breaking the device. When looking for the best automatic cat feeder, you can’t ignore its capacity and efficiency. An overfed pet will soon become a nuisance. It will gain weight, become obese, and often fall sick. You know your creative cat will invent a dozen of ways to get more food ahead of time. Ideally, you don’t want to discourage your pet’s creativity but you want to pet feeder to win the battle and make sure that your intelligent cat is never over fed, even when it’s at her best creative self. Buying a cat feeder with the right capacity will keep you at ease. Obviously, no one likes to refill cat feeder multiple times a day. There is no point buying the best automatic cat feeder if it requires your attention regularly for refills. When considering an automatic cat feeder, focus on learning about its capacity. How much food can it hold? Does it have an airtight hopper to keep the food fresh for a few days? Should I buy one feeder for all my pets? If you have more than one pet, consider buying separate feeders for each of your pet. Having a single feeder for multiple pets could become a problem when one of your pet shows aggressive behavior while feeding. While buying a single feeder could save money now, it will harm your pet’s health in the long-term. If your budget only allows buying a single feeder for all your pets, don’t buy a timed automatic cat feeder. Instead, opt for microchip-based automatic cat feeder. These feeders distribute the food as programmed using a chip that’s placed on each animal. What are different types of automatic cat feeders? When you search for the best automatic cat feeder, you will be overwhelmed with the options. Some rely on gravity to dispense food while others are completely mechanical. Some tag your pets using microchips while other allow for easy mobile connectivity for interactive and remote feeding. Some feeders work with only a certain type of feed. Some support only dry food while others allow you to use high-moisture cat food without a problem. To put it simply, you have a lot of choices to make when you are in the market for cat feeders. Different products offer different perks and features. You may want to consider understanding each of these features before you could finally choose the best automatic cat feeder.